One Awesome Rottie that we had the pleasure of owning. delivered the meat to customers, the rottweiler was often called "the Butcher's Dog." 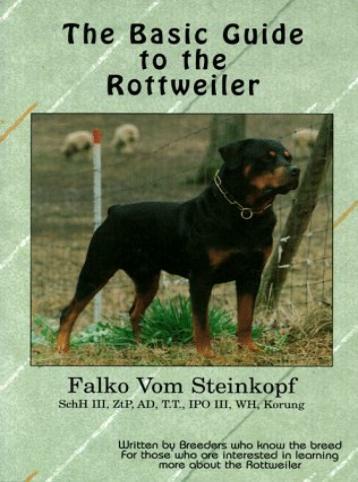 "The Basic Guide to the Rottweiler." mastiff-type drover dogs served as escorts to the herds and guardians of the camp. became known as Rottweil. The encampment at Rottweil lasted a particularly long time. Rottweilers were found to be more than adequate as police dogs and family guardians.